make basic greetings and identify names e.g. Hello. My name is…. write the alphabet and can form sentences. learn how to write paragraphs and make themselves much clearer through the written word. 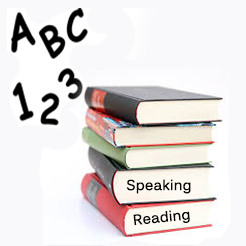 identify basic and simple vocabulary and use them in everyday sentences reasonably well. Students at this level often learned English at Primary or Middle School and have still retained some knowledge and can use it to get by in the street on online activities, however have problems when conversations get more complex. Three months at Elementary will get students to confidently make a conversation with most native speakers and make themselves understood both written and spoken-wise on a simple level.